Your tour start from Your hotel in Muscat . depart Muscat and head directly to the desert of wahiba sands , meet a Bedouin family, share the omani coffee and dates then enjoy The Dune Bushing with our Experienced guide . leave the huge dunes of wahiba sands and continue towards Wadi Bani Khalid, one of the most beautiful largest and picturesque wadis in Oman – You can swim in the wadi . the place is an oasis where you can swim or walk up the wadi and see more pools with waterfalls. 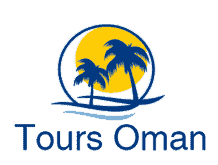 wahiba Sands Tour is one of Tours oman top rated Tour ! !